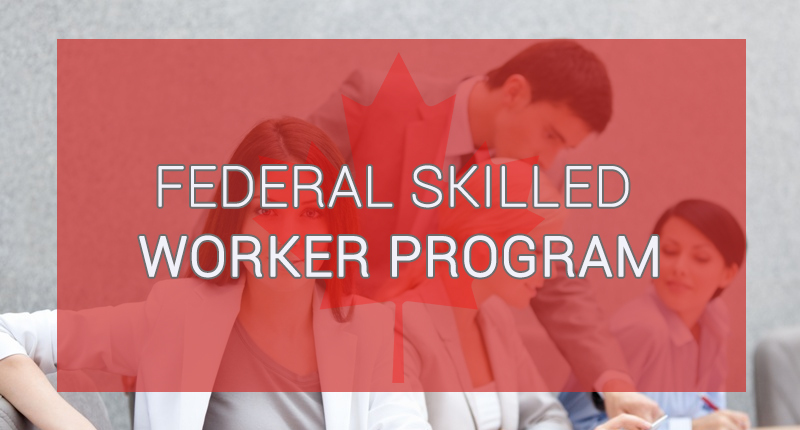 The Federal Skilled Worker Program (FSWP) is a point-based immigration program that qualifies for Canada Express Entry. The program is designed to nominate eligible skilled workers who are interested in migrating to Canada. To have the skilled and experienced workers in the country, the governing authorities of Canada have listed some eligibility for every immigration program. Here the following eligibility criteria help to check whether the federal skilled worker program is for you or not. However, it is worth noting that eligibility criteria may undergo changes so stay updated with the latest changes before proceeding further. Candidate must attain a minimum level of education including diplomas or certificates. Candidate must score at least 67 points out of 100 comprising all the factors like age, education, working experience, adaptability and more to be eligible to apply under the program. Candidate must have an official experience letter for at least one year of full-time salary paid working experience in the relevant job field. Candidate’s job profile must be included in any of the three National Occupation Classification (NOC) categories including Skill Type 0 (Managerial Occupations), Skill Level A (Professional Occupations) or Skill Level B (Technical Occupations and Skilled Trades). Candidate must be well-versed in reading, writing, listening and speaking in either English or French. Additionally, he/she must pass minimum CLB level for any of the languages. Candidate must have enough funds to support him/her and his/her attendants in Canada for some time. The journey from your native land to one of the most lovable immigration land, Canada, comprises some basic steps, which you need to follow systematically. Start with checking the eligibility criteria. If you are eligible, make an account on express entry portal. Apply there for Federal Skilled Worker Class (FSWC) and after filling all the details, submit it to CIC. Once you’ve submitted the profile, the concerned authorities will rank your profile using the Comprehensive Ranking System (CRS). Only the high-scoring applications carry forward and receive the invitation to apply (ITA) for Canada PR visa. If your profile is also one of them and receives ITA, then you need to submit medical and police clearance documents. At last, you need to submit the application for approval to Canada immigration. Visa officer reviews it, and if he/she approves it, then you can immigrate to Canada. In earlier days, the processing time was extended up to 44 months; however, after January 1, 2015, the average time is around six months. The government of Canada has brought up many new changes to speed up the processing time. It means if everything goes well, then you can reach Canada within one year. The government of Canada is all free to change the processing fees anytime without any notice so, take the following information only as a guide. Your work experience must be in the same type of job as your primary National Occupational Classification (NOC) and that experience must be within the last ten years. That work must be paid work experience else it will not be considered. Your work experience must be of at least one year continuous. Canada immigration programs use the NOC to decide if a job or type of work experience meets their eligibility. You must show that you meet the requirements in English or French language that means you must be able to write, listen, speak and read these two languages. You must get a minimum score of Canadian Language Benchmark (CLB) 7 in all the four above mentioned requirements and also update your test result in Express Entry Profile. If you have gone to a school in Canada in your past, you must have a certificate, a diploma or a degree from a secondary or post-secondary school in Canada. If you have completed your education in foreign then you must have an educational credential assessment (ECA) report from an approved agency that shows that your education is equivalent to complete certificate, diploma or degree from a secondary or post-secondary school of Canada. Before applying for Canadian immigration under federal skilled worker you must have a full-time job offer of at least one year from a Canadian employer. A valid job offer should be paid, full-time, and continuous for at least one year. It should not be seasonal and should be listed in an occupation listed as skill type 0, skill type A or B of the NOC. How to apply for the Federal Skilled Worker Program with Countrywide Visas?